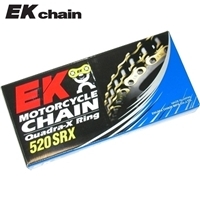 THE PREMIUM ALL-AROUND QUADRA-X RING CHAINS. 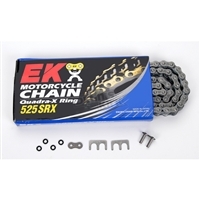 The SRX series chains are an excellent value for any street machine. the SRX feature lightening holes, reduced friction and Quadra X-Ring design which increases chain life from1 1/2 to 2 times longer than a standard o-Ring Chain. THE PREMIUM ALL-AROUND QUADRA-X RING CHAINS. 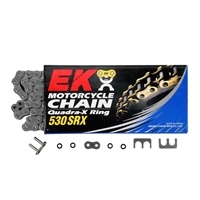 The SRX series chains are an excellent value for any street machine. the SRX feature lightening holes, reduced friction and Quadra X-Ring design which increases chain life from1 1/2 to 2 times longer than a standard o-Ring Chain.